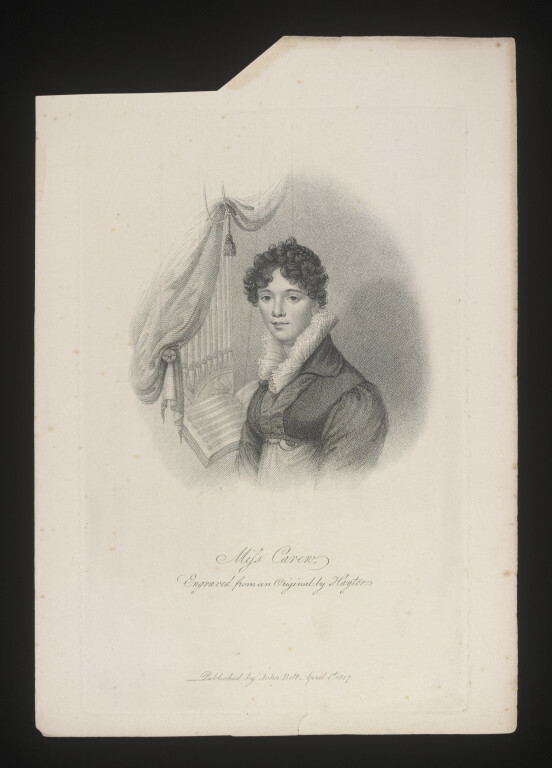 A head and shoulders print of the actress Miss Margaret Felicité Anne Carew (b.1799) from an original painting by John Hayter, published by John Bell, 1st April 1817. A head and shoulders print of the actress Miss Margaret Felicité Anne Carew (b.1799) from an original painting by John Hayter, published by John Bell, 1st April 1817. 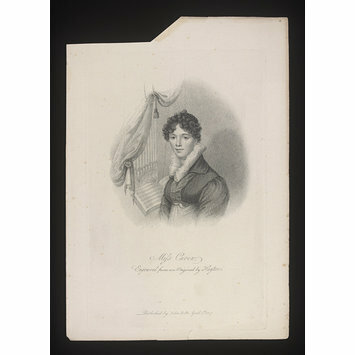 The actress is shown wearing a spencer with a high pleated upstanding collar, her hair is dressed in curls and she gazes directly at the viewer.